Antiques markets can be brutal. They’re energetic, fast-moving and busy. Of course, they’re also fascinating… and loads of fun, especially when you spy that perfect piece and get it for a good price. It’s a great way to spend a few hours – whether you’re hunting for treasures, or not. 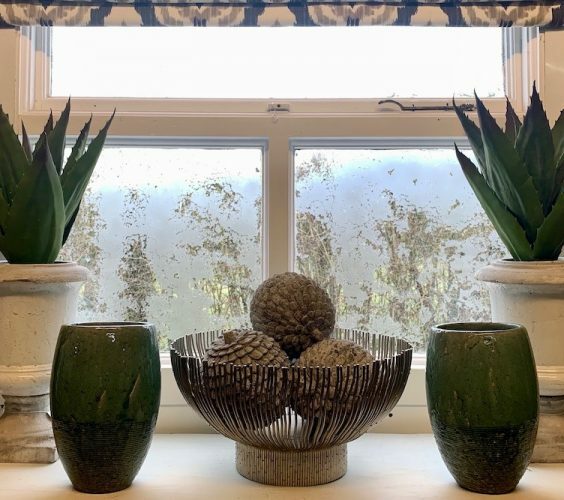 I’m a sucker for just wandering around an antiques market, taking in the sights, watching the fascinating people and seeking inspiration in everything around me. There’s always a sight to see. But that heady feeling you get when you find your treasure and nab it for a bargain is – as we all know – one of the best things ever. 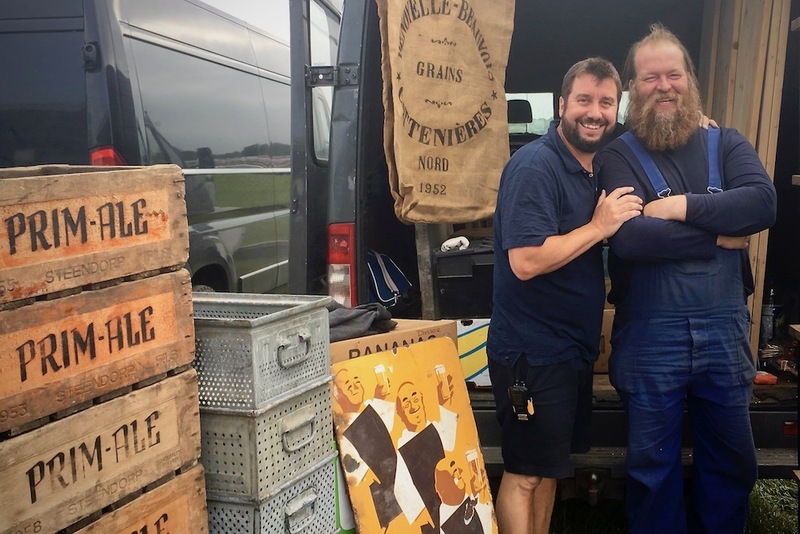 If you’re planning a trip to an antiques fair you’ll want to be prepared, so we went nobbled the man who’s been running one of the largest and longest running antique markets in the UK and forced him to share his secrets. 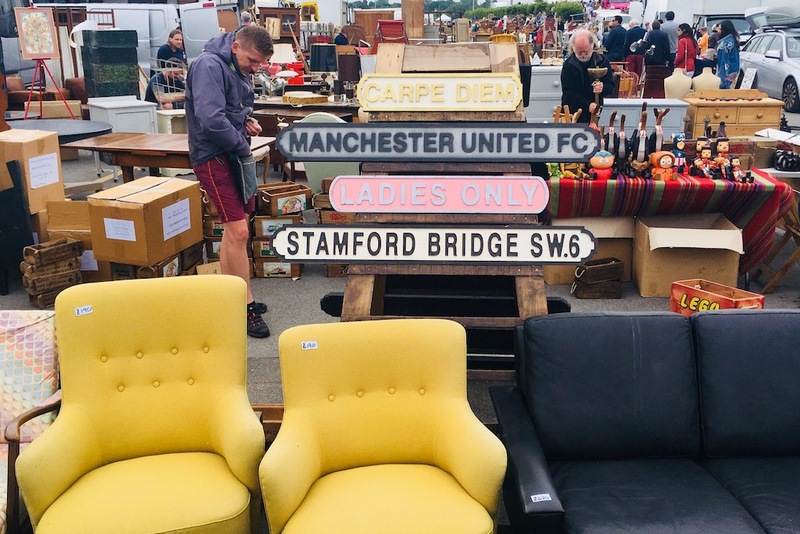 Edward Cruttenden, is the man behind the Sunbury Antiques Market – on twice a month at Kempton Park Racecourse – and now also Sandown Antiques Market, at Sandown Racecourse. Here are his 12 top tips for getting the best out of your antique hunting trips. 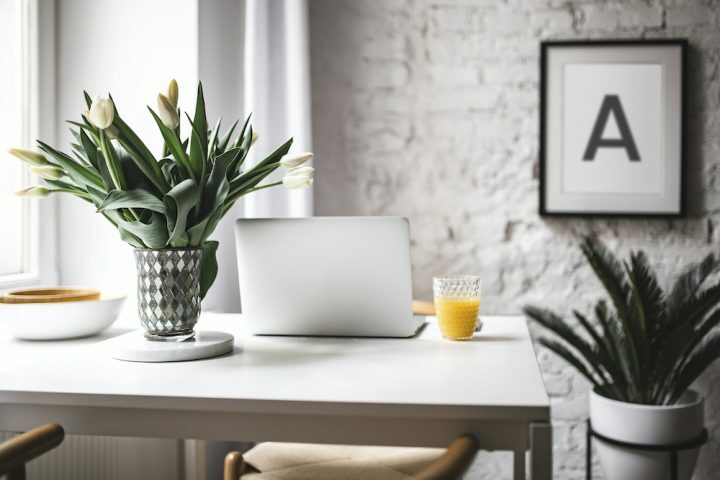 Hire a van if you plan on buying any furniture – although if you know anyone with a 4×4 car then butter them up because you could probably get away with going in that. The market at Kempton Park starts at 6.30am and at Sandown it’s at 7am – and I strongly suggest you are there for the opening. I know it’s a horrible time to be awake but there are hundreds of regulars who rush around the market at opening, so all the best items can be snapped up as early as 8am. 3. Know what you are looking for. I write a list and keep it in my pocket because as well as a tape measure, there is so much it’s easy to be overwhelmed and side tracked. With a plethora of eye-catching gems at every turn it’s easy to be tempted and led astray from your original mission. If you are looking for something in particular, speak to the dealers. They may have something similar back at their storage facility, and most will bring it to the next fair. Don’t forget to exchange contact details so they can send pictures. 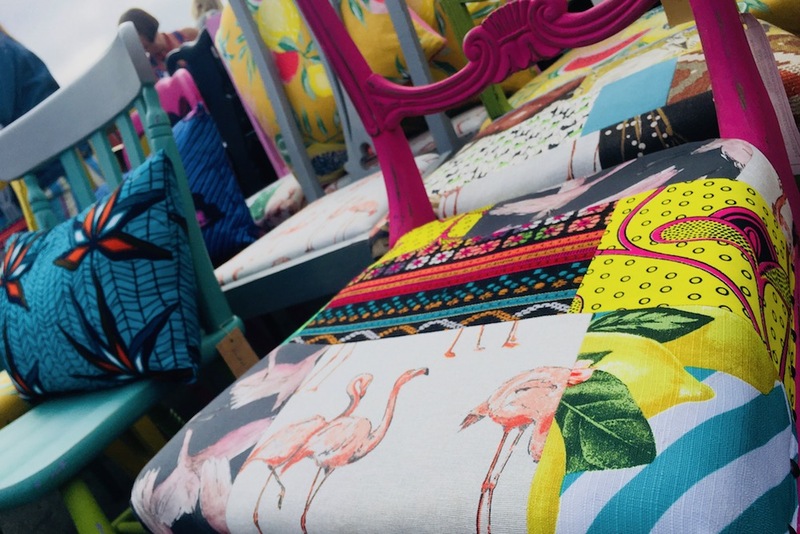 There are dealers who will upholster any items you have brought from the fair so you can hand over that chaise lounge you have just purchased and arrange to pick it up at the next event, or again exchange details. Head for the ‘trend’ items first. 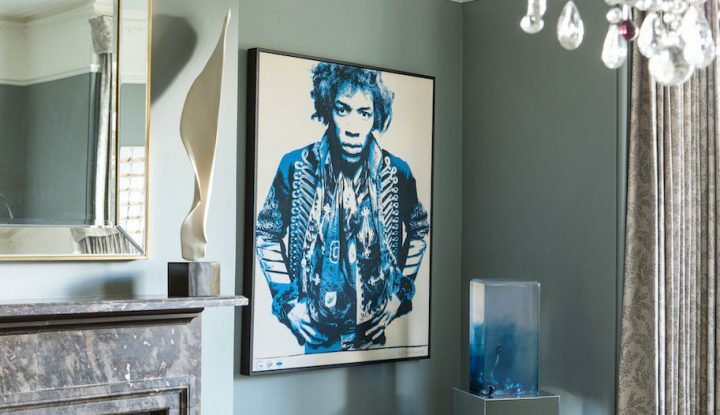 You’re competing with all of London’s interior designers and seasoned antiques dealers – and these guys are pros who rush around picking things up from every stall. This means you have to get in there early. If you wait, it will go. If they say £25 and you hand them a £20 note and say ‘do it for £20?’ they generally will. Don’t be afraid to haggle down on big items as well. Some dealers won’t budge on price, especially early in the morning, but they will expect you to ask so don’t feel embarrassed. Very few dealers take cards, and you will get better bargains with cash. If you have a sack trolley, it is worth taking it with you in case you buy heavy furniture. If you don’t have one you can buy one there (for £30). No matter what you’re looking for, somebody at Sunbury or Sandown will be selling it! Even if you don’t find what you’re looking for, an entertaining day out is guaranteed. 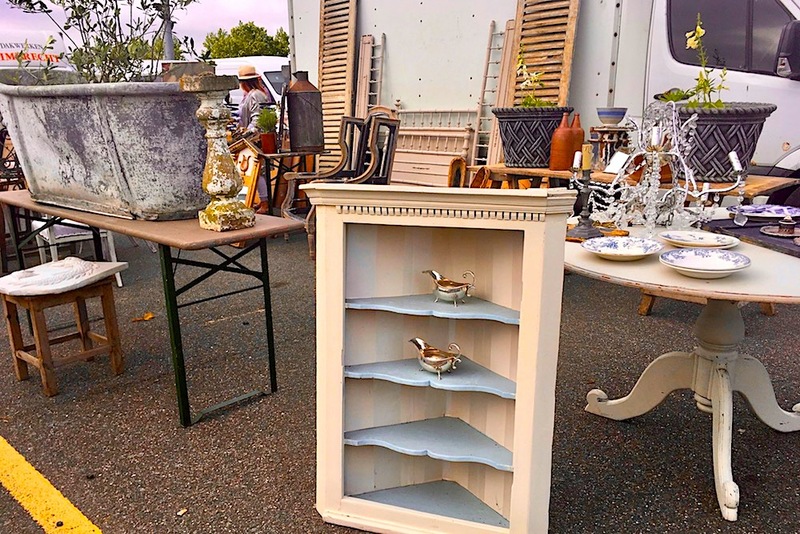 Sunbury Antiques is at Kempton Park Racecourse on the second and last Tuesday of every month and at Sandown Park Racecourse on the first Tuesday of every month.